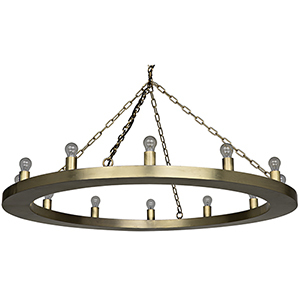 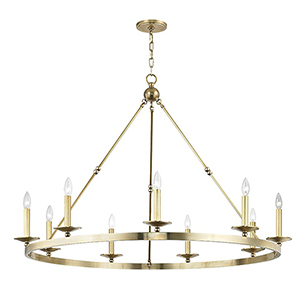 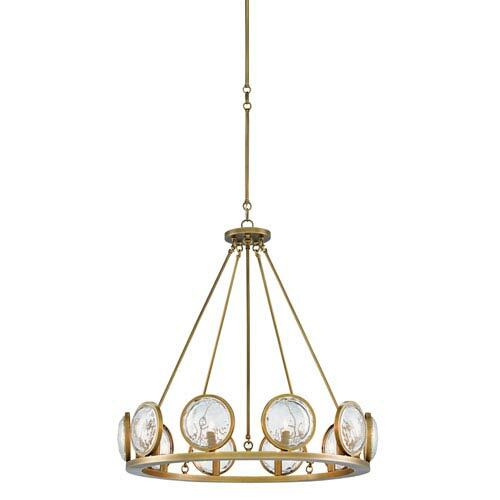 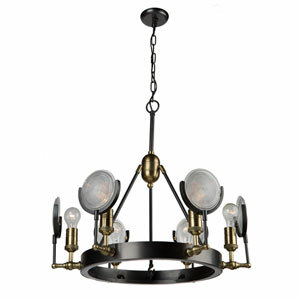 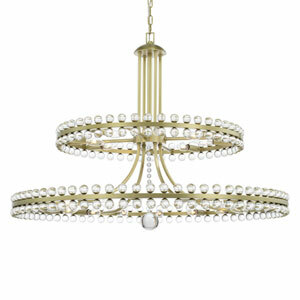 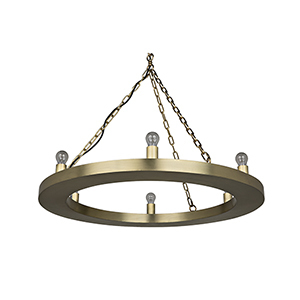 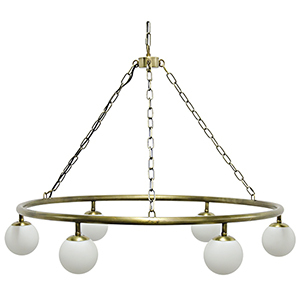 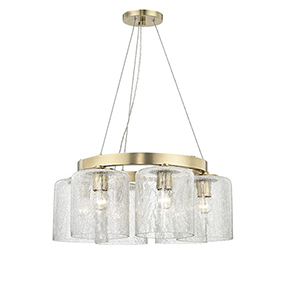 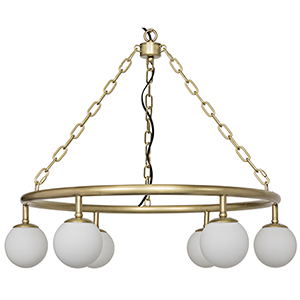 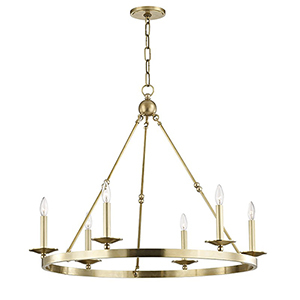 The faceted glass discs that adorn the MarjieScope Chandeliers frame are its defining characteristic. 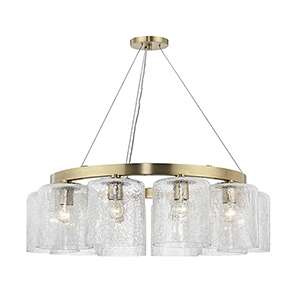 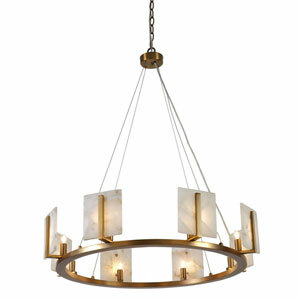 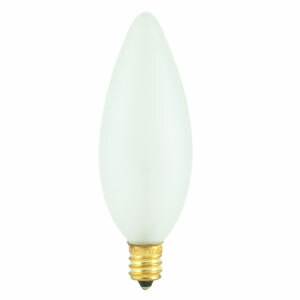 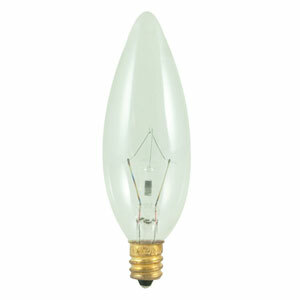 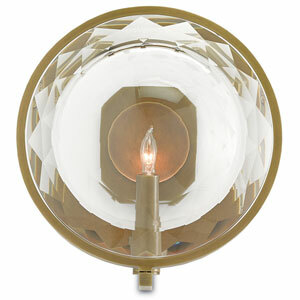 The pieces 10 lights eminate from behind the glass and onto its brass finish. 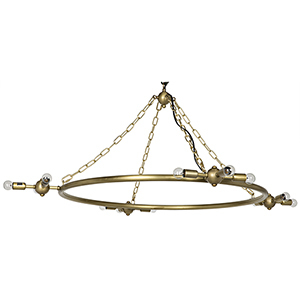 The Marjorie Skouras Collection.